Remember that scene in the movie Parenthood when Steve Martin, after convincing his son to play second base in his Little League game, imagines it will be the formative experience that leads to his son becoming college valedictorian one day? And then, after his son drops a pop-up, imagines it as the experience that leads to his son going on a shooting spree? That, in a nutshell, is Little League baseball. Despite the fact that tens of thousands of these seemingly insignificant games are played each week, what happens between those foul lines sticks with the participants for the rest of their lives. Ask any adult who played Little League and they will be able to tell you – play for play – about some decades old game he or she played in. Home run or strike out, the experience sticks with you. The second game featured Spencer who hadn’t enjoyed the season as much. In fact, as the season wore on he grew more interested in searching for bugs in the outfield than looking for fly balls. Nevertheless, I hoped that he would have a great last game of the season which, considering his lack of interest, might be his last Little League game ever. I soon learned that, since it was the last game of the year, the coaches were going to pitch to the boys instead of have them hit off the tee as they had all season. My stomach dropped. Thirty years earlier, my T-ball season ended the same way. Unfortunately, I wasn’t ready to hit pitched balls, and swung through pitch after pitch. I still remember the other kids making fun of me, the coach never giving up and letting me hit off the tee, and the sweat on my hands. By the time the coach let me hit off the tee I’d been so traumatized that I didn’t play baseball the next season – the only one I didn’t play until I got to college. And now Spencer, my sweet little bug collecting nephew who had swung through all thirty pitches I tossed him a month earlier, was in the exact same position. Was this going to be the Little League moment he would remember for the rest of his life? Spencer stomped to the plate and stared out at the coach who tossed the ball. Spencer swung. And missed. I gripped the chain link fence, worried. Like Steve Martin in Parenthood, I imagined the at bat unfolding in front of me would play a large role in deciding Spencer’s future. Would it be seven swings and misses that would lead to his climbing his college’s bell tower? Or eight? I jerked my head up to see Spencer had hit the coach’s pitch past the third baseman. As Spencer ran to first base I smiled. If that’s the Little League at-bat he remembers for the rest of his life, it’s a pretty good one. I loved this post, Mike. I remember playing little league when I was a young girl and you’re absolutely right, those experiences (good or bad) last with you a lifetime. 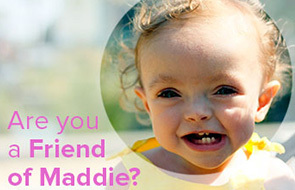 As much as I love hearing about Annie and Maddie, it’s nice reading about the other “little people” in your life. Aww, that’s such a cute story. Go Spencer!! Sweet ending – I teared up for Spencer! I did, too! You are a great storyteller (like Heather) and an obviously dedicated, concerned, loving uncle! Those boys are lucky to have you! awww Mike! that’s just about the sweetest story ever. I was always too shy as a kid to play softball, a decision I regret. Thankfully, my children have inherited my husband’s outgoing nature so hopefully they will get to experience the highs and lows of little league. aw, what a great way to end the season! I played softball for a few seasons as a kid and despite being terrible at it and breaking a few fingers, I’ve decided to sign up for an adult social league this summer with my best friend. I’m definitely old enough to remember every embarrassing moment that might unfold, and I’m terrified! What a loving and devoted Uncle! I love the story and am very happy that Spencer hit the ball. What a way to end the season. Great job, to both Spencer and Danny!